I'm thrilled to have my hubster, Anthony Price guest posting for the first time today! Although, he helps with the majority of my posts, he has never guest posted. We both had a wonderful time in New York City and Washington, DC and he has been documenting our trip on his blog. When I saw this post he wrote about Haven's Kitchen, I asked if he would share it here. A giant welcome to my husband and go check his site out when you have a few minutes. He takes some amazing photos! 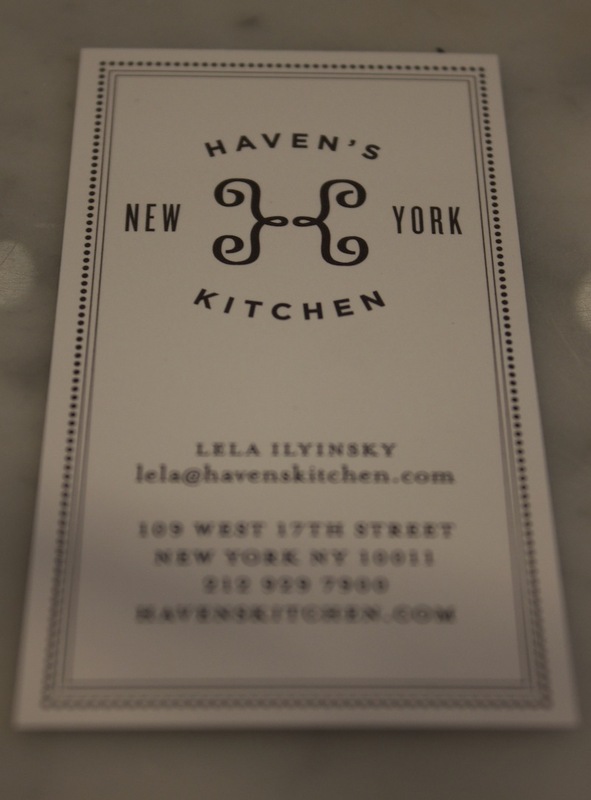 One of the days we were in NYC we happened walk by this shop called Haven's Kitchen. We stepped through the door and Malisa was in culinary heaven! While we were at the counter ordering a little cheese biscuit, we found out this space hosts cooking classes, private events and sells speciality foods and tools. We would have ordered coffee but we had Blue Bottle not long before. Malisa spent a while looking at all their kitchen gadgets while Michael and I sat at one of the tables to rest. There were many things she wanted to buy but knowing the weight/space restrictions we would have flying back to Calfornia, she walked out with only a fancy little jar of rock salt. We weren't there long but it was good to see Malisa excited over something she loves to do, cook! Here are a few photos, enjoy!